Here we are with another spoiler. 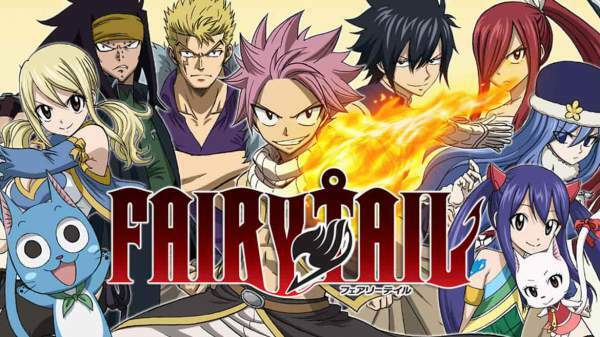 This time it is “Fairy Tail”. The Chapter 539 of Fairy Tail has been scheduled and here is the episode guide and spoilers from the upcoming episodes. The spoiler is relieving that after Natsu will also go due to the disappearance of Zeref. With this spoiler, we are predicting that author of the series Hiro Mashima will restore the Fire Dragon Slayer. But we are still waiting for the official confirmation regarding the same. If we believe to The Christian Reporter then we will get to see the extra action and adventures in Chapter 539 of “Fairy Tail” as manga series is coming to end. In the upcoming chapter viz. World Collapse of the series we will get to see something which will be a threat to the existence of the planet. Warning: This post contains series spoilers, proceed at own risk. What Have We Already Seen in the ‘Fairy Tail’ Chapter 538 ? In the earlier episodes, we have seen the connection between Book of END and Zeref. In an attempt to stop the Natsu from becoming a demon, Lucy rewrote the memories of Fairy Tail guild members. Grey had concluded earlier that The book of the end will disintegrate, according to which Zeref will die. Lucy rewrote the resurrection of Natsu due to which himself and gray are in worry. If we observe closely then we will see that the Lucy and Happy are more worried due to the end of Natsu because he is back with the help of Black Wizard as reported by the inquisitor. After the reunion of joyous, the group was discussing the plans to go back to the Guild Hall but in between Natsu disappears. Will Natsu Die in upcoming Chapter 538 of Fairy Tail? One of the fan theory is speculating that Black Dragon will reappear after the escaping the Time’s Ravines. Stay Tuned to The Reporter Times for interesting updates!